Below are answers to a few of the most commonly asked questions. If you do not find an answer to your query here, please email us or ring us at (UK) 01905 754484 and we will be happy to assist you. We also welcome your comments. We accept PayPal and all major credit/debit cards. Payment may also be made by bankers draft (allow clearing time before dispatch). All prices on this web site are listed and payable in UK Pounds. Bevere Gallery, Worcester is proud to provide you with a fully secure online shopping environment. Any private information is sent to us encrypted through the use of SSL (Secure Socket Layer) technology. To order any of the artwork on this web site you may select “Buy Now” to use PayPal (the universally trusted online payment system) OR if you prefer you may contact us directly by selecting the “Enquire” link. Bevere Gallery, Worcester is pleased to offer Worldwide Delivery. From our base here in the United Kingdom, our international clients are as far spread as the United States and Taiwan. Delivery to mainland UK is by our chosen courier (next day, signed for). Elsewhere shipping generally takes between 2 – 10 business days to all world destinations. All artworks are insured against loss and packaged as safely as possible to avoid any damage. Glass is removed before shipping the larger watercolours or pastels for safety. For international shipments, extra taxes may be required on entry to the country, which is payable by the purchaser. If your shipment arrives damaged, please photograph and contact us immediately describing the state of the package and/or contents, and we will look into the matter. Your satisfaction with any purchase from Bevere Gallery, Worcester is 100% guaranteed. However, if for any reason you are not completely happy with your purchase, a full refund will be given if the item is returned to us undamaged within 2 weeks. Your statutory rights as a consumer are not affected. In accordance with The Consumer Protection (Distance Selling) Regulations 2000, when the goods are delivered you have the right to cancel your order within 7 working days after the order was received. You must advise us by email or letter of your wish to cancel and return the goods to us, in saleable condition, at your expense. Following receipt of the returned undamaged goods, we will make arrangements to refund the cost of the artwork within 30 days. 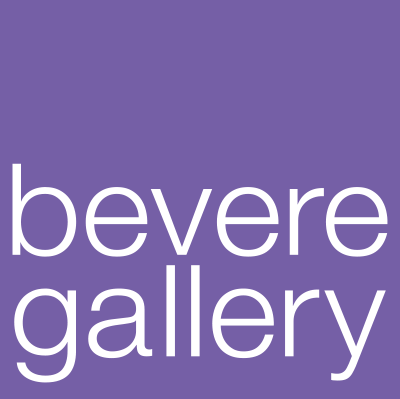 If you wish to contact Bevere Gallery, Worcester about our products or our service, please e-mail us at alastair@beveregallery.com you may also phone (+44) 01905 754484 from 9 am to 5 pm (UK time) closed Sundays. We will endeavour to respond to your enquiry within 5 working days.